How can you know a place? Historian and naturalist Jack Nisbet&#8212;author of Sources of the River: Tracking David Thompson Across Western North America&#8212;looks to the relics of a region to connect the present moment to the distant past. 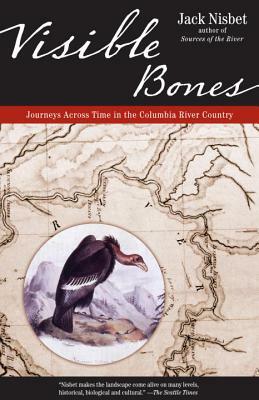 In the vast Western territory defined by the Columbia River, Nisbet tracks the stories and meaning of relics such as a trilobite fossil that points to a tropical prehistoric ecology; the nearly extinct California condor, once the largest thing in the skies, described with amazement by Meriwether Lewis; the indelible stain of the smallpox pandemic that overcame the native peoples of the West; a rare and socially potent strain of indigenous wild tobacco that reveals the presence of vestigial Indian practices; and the remains of one Jaco Finlay, a mixed-blood trapper and scout who seems to have been everywhere in the region two hundred years ago. All of these relics are the visible bones that show how past is present in the Columbia River Country. Together the stories these bones tell lays out a wholly original, hybrid history that connects nature with human endeavor, geography with the passage of time&#8212;all contribute to the biography of a place. The arrow of time travels in one direction, and this is usually how history is told: beginning to end. But Jack Nisbet is up to something else: journeys across time through a place, knitting past to present and back again to assemble a portrait of the land that marked the culmination of Lewis &amp; Clark’s expedition, that saw the sad end of the Indian Wars with the flight of Chief Joseph, that has offered up fossil proof of mammoth species long extinct. In this western territory, the storied past is much in evidence. Jack Nisbet is also the author of Sources of the River, Purple Flat Top, and The Mapmakers Eye. He lives in Spokane, WA.